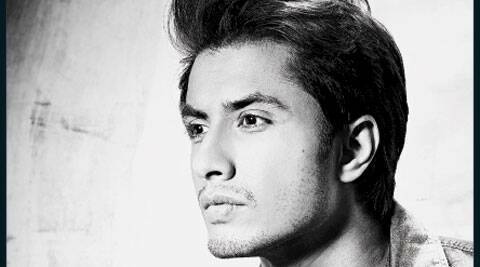 Ali Zafar on not wanting to become the Number One star in Bollywood, bridging the Indo-Pak divide with Total Siyappa. Ali Zafar: I have nothing against entertainment and commercial cinema, but I’m more attracted to subjects that are deeper and edgier. Singer-actor Ali Zafar on not wanting to become the Number One star in Bollywood, bridging the Indo-Pak divide with Total Siyappa. When you first heard the script of Total Siyappa, what drew you to it? I instantly loved it. The film is a remake of a Spanish-Argentine film called Only Human, in which the boy is Palestinian and the girl is Israeli. (Filmmaker) Neeraj Pandey told me that they would only develop the script if I’m on board because they saw the film only with me. The film looks like a light-hearted comedy but it also examines the equation that people of India and Pakistan share. That is the scenario of the film. And in a sense that is the siyappa (chaos) that exists. It has been tackled in a feel-good manner, which has not been done before. Also, the discrimination that my character faces is somewhere reflective of this perception we have about each other due to the lack of interaction and cultural exchange between our countries. This perception largely exists in the older generation. The new generation wants to make peace and that is what the film talks about. Did you ever chat with the scriptwriter and producer, Neeraj Pandey, about the kind of dialogues for the film? Of course. I would not want to say something controversial that would offend people back home. They are very important to me. Not even (Shahid) Afridi because if you will see the dialogue in the context of the film you will understand there is nothing offensive being said about him. As an outsider, you have made a mark in Bollywood in a short time. Who advises you about script selection and the kind of roles to play? I’m just going by instincts. But I like stories that are not conventional, subjects that are challenging and are somewhere thought provoking. I have nothing against entertainment and commercial cinema, but I’m more attracted to subjects that are deeper and edgier. For instance, when I was making my acting debut in Bollywood, I had a choice of doing a romcom or a musical film, but I chose Tere Bin Laden because it allowed me a chance to surprise myself. Total Siyappa is comedy with a cause. It is not just a mad, senseless comedy. I do bounce off ideas with friends in the industry. When I came to Mumbai, I did not know anyone. Even back in Pakistan — my parents being professors — I did not know anyone. So I had to make my own way. Aren’t you afraid of being typecast in Pakistani characters? How similar are you in real life to the characters you portray? and then when the director says ‘cut’, I’m out of it. What was your exposure to Hindi cinema? Dilip Kumar saab, Amitabh Bachchan and Naseeruddin Shah saab were my inspirations. I remember growing up with their movies. My mother listened to old songs by Lata Mangeshkar and Hemant Kumar and my father used to sing Mukesh songs. As a child, whenever I used to watch Amitabh Bachchan die in a film, I would cry. You never really started out with the idea of becoming an actor? I used to paint then I wanted to become a cricketer. Then I started modelling. Then I had this strong urge to become a singer. Once I started touring and doing concerts, I got bored of it. And then Tere Bin Laden came. I just wanted to add a newer realm to my singing and I thought of singing and composing in my own movies. I am somebody who gets bored with myself very easily if I am not challenging myself, so I will also venture out into producing at some stage. I am writing something for the India-Pakistan film market. After the release of Total Siyappa, I will write the screenplay and dialogues. What do you prefer: singing or acting? I am concentrating on acting more, but I really enjoy being in a music studio and jamming with musicians. I just disconnect from the world and I go into another space when I am playing music. Acting is good. I enjoy the process, only when the scene is happening. I am most comfortable when the creative process is in place. What is happening with your career as a musician? I am still working on my fourth album, but I don’t think there are enough avenues for independent music. That doesn’t stop me from making my own music in my studio in Lahore. I am also constructing a space on the likes of Blue Frog, a proper professional high-end studio, where young and old musicians will come together and create music. Have you got a sense of what you like or dislike in the film industry? I like the fact that I have entered the industry at a very good time, where people are doing different kinds of films. I do feel that with the kind of budgets and infrastructure in place, we could venture out into other subjects beyond just boy-girl romances. There are many stories waiting to be told, which are not exactly love stories. And in my opinion, an actor should be in his creative zone and not have to become a salesman. The work should speak for itself. When I am trying to sell my film and praise it, I don’t like to market myself and sell it. Given a choice, I would not do that. What is your ambition in Bollywood? What do you hope to achieve out of your time here? The ambition is not to become the number one Bollywood star. It is to be happy and content even if that happens from a conversation with poets and writers. With Bollywood, you are exposed to a larger audience but I’ve realised that it is not all about commercial success and numbers. The basic happiness comes in giving back to life, not in a way that you are boasting to others. I want to build the same kind of cinema infrastructure in Pakistan, where I can nurture talent. And I have always believed in the India-Pakistan factor. The new generation should play a bigger part in bridging the ge That is why I signed up this film because in some small way, I will play a part in igniting a spark somewhere.